We're big fans of new kit splashing down close to home, but there's a certain intrigue attached to handsets hailing from faraway locales. 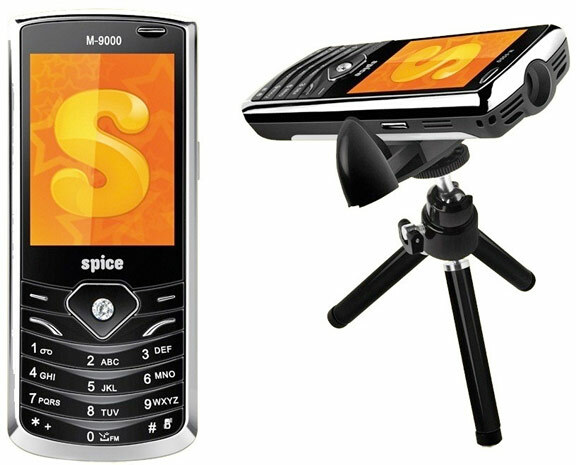 So when a loyal reader tipped us off to Spice Mobile's M-9000 Popkorn, a candybar phone from India featuring a built-in projector, we understandably took notice. Originating from the land of saffron for 6,900 rupees (approximately $158), its showcase feature allows users to project broadcast television onto the wall -- not exactly an ideal TV replacement, but it'd do in a pinch. Additionally, designers integrated live and scheduled recording of FM radio for those who'd rather listen in. Conversely, the M-9000 is a woefully dated phone, held back in the ages of analog TV, GPRS and Edge networks. No specs were noted on the projector's resolution, though given an internal 2.4-inch display at 320 x 240, we speculate its splay is one only Mr. Blurrycam could appreciate. Much like India itself, the Popkorn is an apt representation of the past and future, held together as one. Perhaps that's why we feel such fond sentiment for this little guy -- check out Spice's entire portfolio at the source.